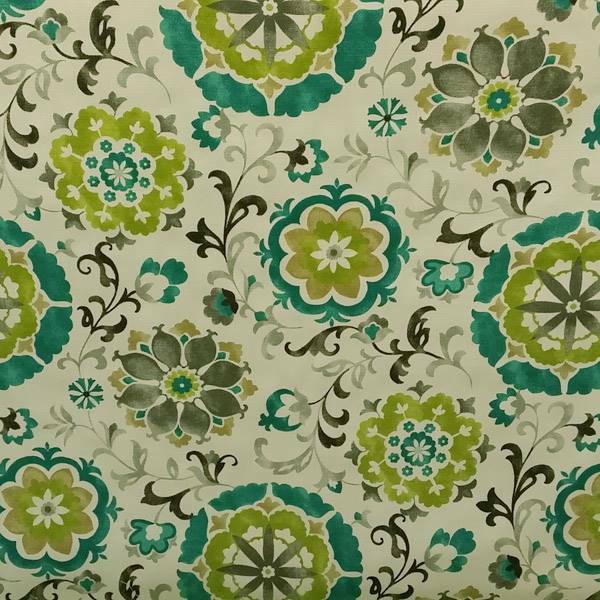 Use this fun cotton floral in blue,green and tan on white for any decor in the house. Excellent for drapes,pillows and bedding. Also for valances, cornices and headboards.